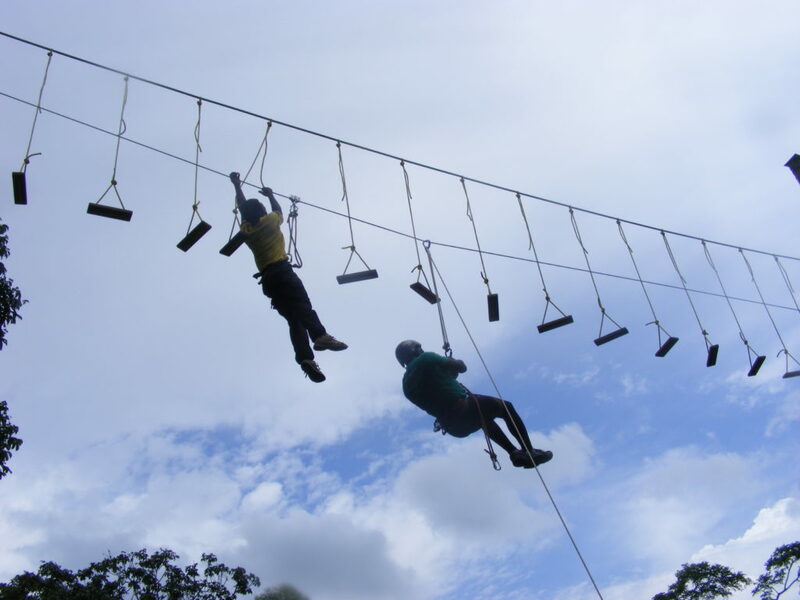 Visit one of the adventure parks and high wire parks waiting for the adventurous! Tyrol’s highest adventure park, all at the same place, high wire park, petting zoo, ostirodler, restaurant, mountains and nature! Located 15 km away from the hotel, on the hillside right before approaching the town of Lienz. It offers 17 different courses of 160 stations, at all levels of difficulty, 35 Flying foxes of which 9 are XXL, and a base jump. An exciting playground is waiting for the smaller ones. We also have the Ostirodler, the summer toboggan run and a petting zoo nearby. at Großvenediger, it offers 11 different courses at different levels of difficulty, Flying fox and a 10-meter airbag to experience freefalling. This adventure park offers a variety of opportunities for young and adult alike. Different high wire courses at different levels of difficulty, a 25-meter Flying fox, a water park with water mills and playgrounds. We can also find via-ferrata routes that lead up the rocks on the riverside. The park is 20 km from the hotel, after Lienz we need to take the road no.100. The adventure park is located 30 km from the hotel at Sillian, a great adventure for the whole family. It has three different sections, there is a giant playground for the little ones, the high wire park for bigger ones and adults with 9 different courses at different levels of difficulty, 73 elements and stations with 12 Flying Foxes to a total of 890 m length for climbing, balancing, sliding and swinging across a large variety of cable and bridge constructions. The third area is a natural water playground, a children’s paradise where all is about water. On the carefully planned river landscape, adventurers can build canals, send ships to the high seas or make a search for the coveted gold nuggets. This park is a little further away, 50 km from the hotel but it is worth visiting. It is a new park opened recently, the high wire courses are built around a swimming lake, varying at different difficulty levels with Fire fox above the lake and bathing facilities. There are several tennis courts nearby, 4 different courses in Matrei and 4 in St. Jakob and more in Lienz and Sillian. As most of the tennis courts are open air, they are only open in the summer. An exception is the Dolomitenhalle in Lienz and the Tennishalle in Nussdorf that are open all year round.